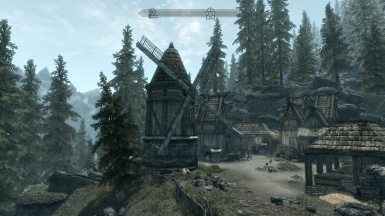 If you are using Pfaffendrill's "Windmills Resized" mod (which I recommend) then you probably have noticed that the sails at Katla's Farm now clip through the house. My mod simply repositions the sails on the Katla's Farm windmill so that no clipping occurs. It also repositions a wall lean marker to the other side of the windmill entrance, as otherwise people would lean directly under the new sail position, something which strikes me as ... unwise. 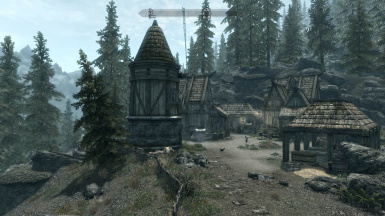 If you are using DynDOLOD then this mod is unnecessary, as it does something very like this automatically (although it repositions the sails far more radically than this mod does). 2013-01-25, Version 1.0: Initial Release.